My goodness, the Bucs could not get out of Jameis Winston's way. That's the lasting impression of the Bucs lastest loss, a 26-20 clunker to Green Bay. The Bucs lost because they could not bear to win. They lost because that's what losing teams do. They lost because it was the easier option. When it was 20-20, did you have any doubt whatsoever that the Bucs would find a way to lose? Time after time, in manner after manner, the Bucs botched this one, even worse than they have botched their other seven defeats this season. Their 26-20 loss to Green Bay wasn't their widest margin of defeat, but it was the strongest example of blowing a game they had in their grasp. And that stings worse than a blowout. Tampa Bay dominated the stats and the time of possession, but in the end, they simply watched as Aaron Jones ran in from 20 yards out for the victory. Think about it: The Bucs were finally clearly better than someone, and they still couldn't win. They piled up 395 yards, almost four football fields, and they managed to lose. They kept the ball more than 10 minutes more than Green Bay, and yet, in the end, they ran out of time. Sad, isn't it? It's like losing a winning Lotto ticket. And despite the statistics, Koetter summed it up fairly well when he said: "The scoreboard is what the scoreboard is." What do you say when an underdog dominates a pretty good Packers' team, and still doesn't score enough points to win? And now, of course, the critics take aim at Jameis Winston. They come at him the way the Packers did, relentless, hungry, viciously. Winston constantly muddies his own waters, and he makes it harder and harder to defend him. Chief among his Sunday mistakes was another skullrocks play by Winston, who doesn't seem to learn from his previous skullrocks plays. While getting sacked, Winston lost the ball, which was snatched out of the air by Dean Lowry, who waddled 62 yards for a touchdown. Winston has still not grasped the concept that playing quarterback is also a defensive position, and ball control remains vital in winning a ballgame. Look, there are too many times when Winston seems to be getting worse, which may be doom for head coach Dirk Koetter, who got the job because of how much influence he had on Winston. He doesn't get the nuance of the game. He cannot be trusted to protect the ball. Koetter needs to reign him in, to stop the onslaught of sloppy, hurried plays. Winston threw for 270 yards against Green Bay, but his problems weren't on his 21 competitions. They were the awkwardness he brought to the rest of the attack. Winston's fumble was his 50th turnover in 41 games as a pro. "We've talked about this many times," Koetter said. "He's going to make some plays. He made a couple of nice scramble plays. We have to remember: he's 23 years old. Experience is still the best teacher." What else? Well, the Bucs had a punt blocked. They had two drives stall short of the goal line. They gave up seven sacks. They commited eight penalties for 74 yards, most of them at awful times. They blew two snaps inside the 10. And Winston threw several balls that could have been intercepted. "I don’t even know how the ball came out," Winston said about his fumble. "I had Cam Brate on a route in front of me and I was about to throw it to him and when I reared back, it hit somebody." In other words, yeah, the Bucs are 4-8. And to be honest, they're look more like a team that's 2-10 than they do one that's 6-6. They are bad, and they have worked hard for their eight losses. This time, the Packers marched 72 yards in eight plays for the winning touchdown. Mind you, this was a 72-yard march for an offense that had almost no passing threat (Brett Hundley had 84 yards passing against a weak Bucs' secondary). But Hundley ran for seven (on a missed tackle) and 18 yards. Green Bay threw only once on its winning drive. For once, the Bucs were able to run the ball. 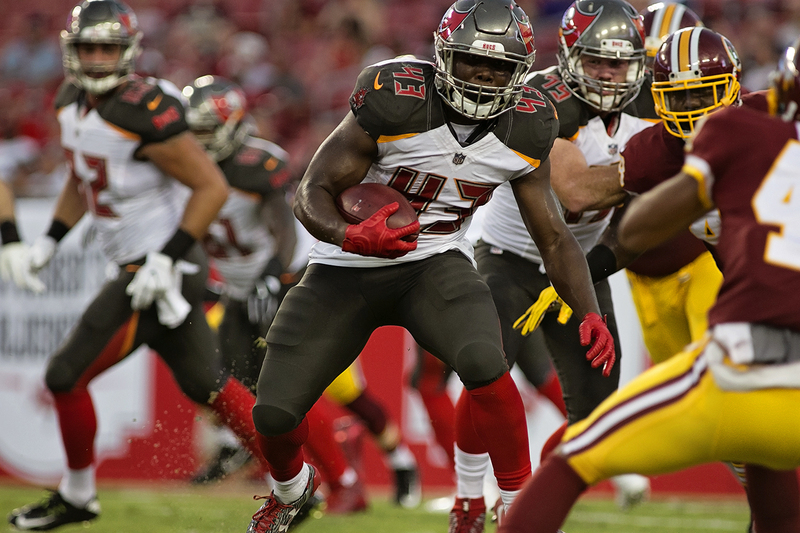 Peyton Barber gained 102 yards – he had only 88 on the year coming into the game– to become the first Bucs' back with more than 100. 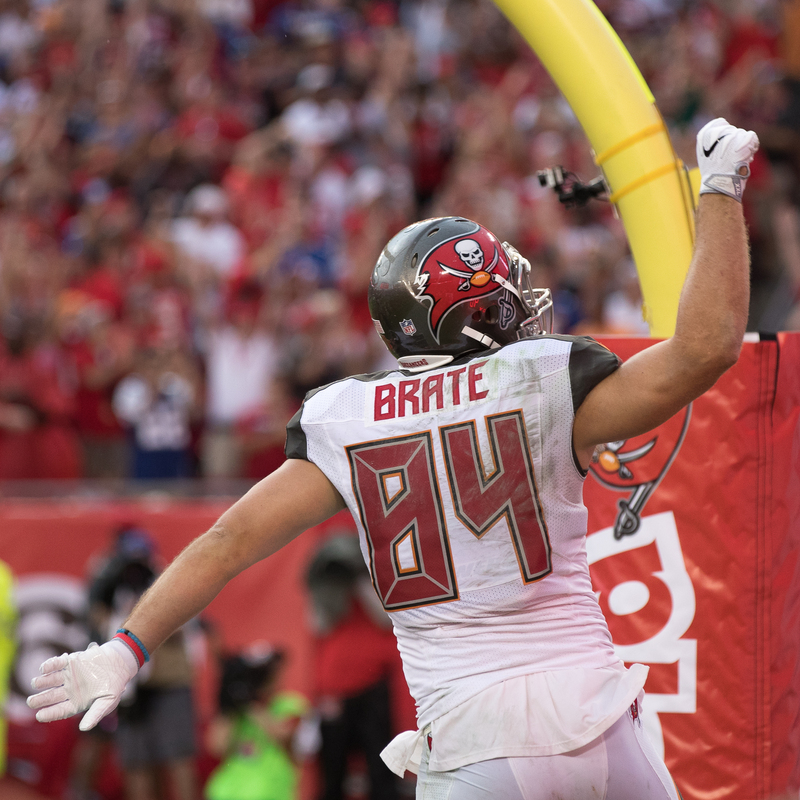 The Bucs got off to a decent start, as Winston hit four of five passes, including a 28-yarder to Cameron Brate. 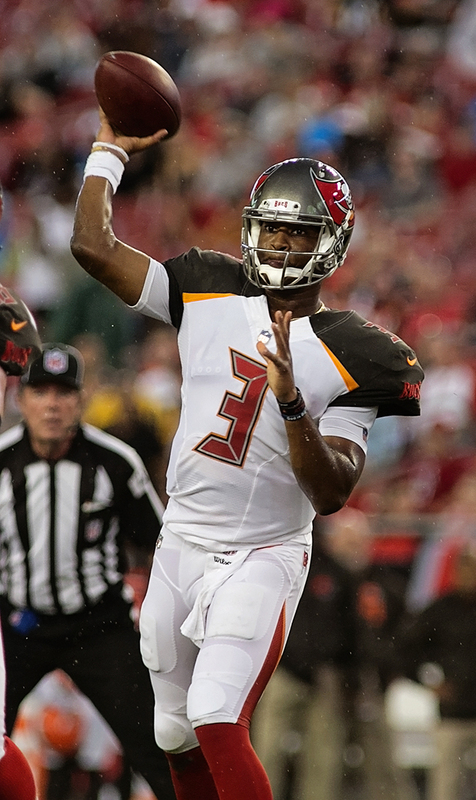 But afterward, the Bucs punted on their next three series, then Winston lost the ball – again – and Green Bay returned it for a score to go ahead 17-7. The Bucs' running game took over, and behind Barber, the Bucs pulled ahead 20-17. But Green Bay drove for the tie, then took over in the overtime and drove it through the Bucs to win. 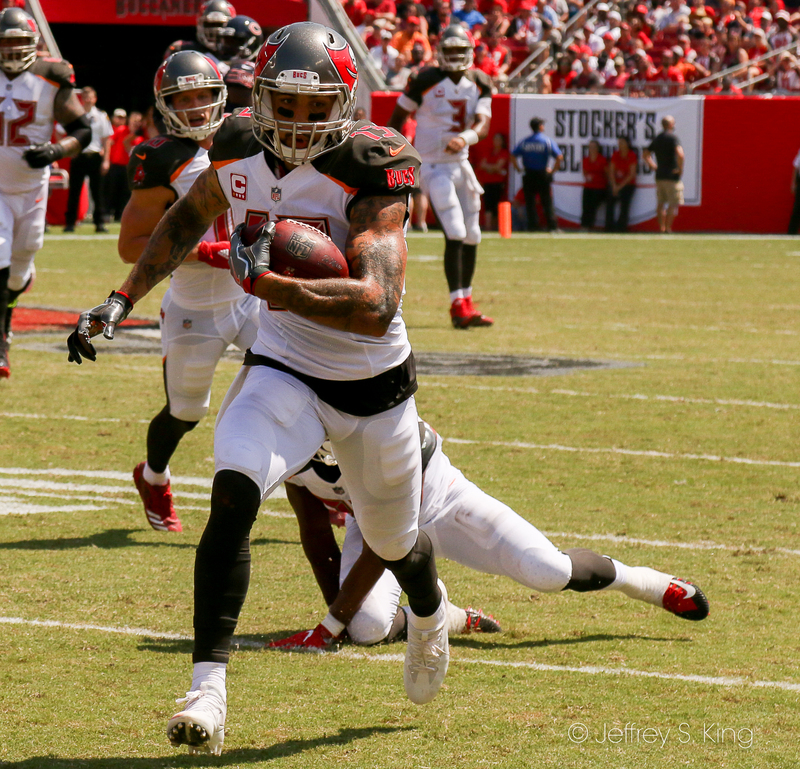 On the afternoon, receiver Mike Evans caught only two passes for 22 yards. Tampa Bay is home Sunday against Detroit. Game time is 1 p.m. at Raymond James Stadium. Until ball protection is more important, the winning record won’t be good. I think you said it all Gary. Nothing to add but to say what a waste of good stats with out a win to show for them. What I don’t understand is why not a single Buc got within camera range of Dean Lowry during his 62 yard touchdown romp. Did the Bucs quit on that play? It’s hard when motion suddenly goes the other way. The receivers are downfield. The closest guys to the play are beefy linemen, who probably weren’t aware Lowry had the ball until he was 10 yards downfield. I don’t think it was quitting. I thought the Bucs played fairly hard. In a way, that’s the sadness of it, isn’t it?